I often get asked for a link to here or a link to there - or how I do this. It's great that people trust my judgement on these things, and with so many years of doing these things day in day out - you soon get to learn the what works and what doesn't. So this will be an ongoing resource page where I will list links to the online tools and resources that I use myself. Keep checking back for new links that I will be adding. I get my images from a number of resources, some paid, some free. For client work I either take the images myself or use a stock photo site. That way I know that I have the correct licence and there will never be any come back for my client. Adobe Stock has a really good selection of stock images and videos. I use this mainly for images and graphics and have a monthly subscription with them. There are pay as you go and monthly subscriptions available. An old saying and sometimes said with with a chuckle 🙂 For website stuff however, smaller is better, much better. Reducing the size of images and PDF's can help with a sights speed. A couple of free resources I use will shrink stuff without affecting the quality of the file itself. Tiny PNG will shrink your PNG and JPG files. You can load up to 20 files per batch and then either download them individually or in bulk as a ZIP file. Pretty much every image I put on a website for myself or clients has been through this websites process. Don't forget to resize the image first to the size you need - and then use the Tiny PNG website. Small PDF will shrink a PDF making any PDF forms you have on your website, that little quicker to load up or download. Limited to 2 documents per hour and some size restrictions apply. If you are going to be shrinking lots of PDF's then the paid option might be better and give you access to ALL of their tools. Getting the right font for your artwork can mean the difference between a good piece of work and a great piece of work. There are plenty of websites out there that offer free fonts, but just be careful that you pick ones that have a commercial license to them. If you are using the font for your business and it requires a separate license, play fair - it keeps these amazing designers in work. DaFont is the go to site for designers when they need a new font. Great resource and one I use the most. Font Squirrel again has a great selection of free fonts. Easy to download and pretty much all available for commercial work. 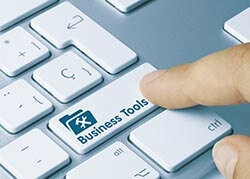 General business tools, tools that make your working life that little easier. Some are web based, some for use directly on your computer or phone. We use these tools on a daily basis and would find the working day a little more hectic without them. Asana is a fantastic tool for planning and tracking tasks. Gimme Media has their Asana set up to keep track or Scheduled Tasks and Client Projects. It's cloud based and also has an app, so keeping track of things while you're out and about is simple. There are plenty of other services like this around, but we have found that Asana works best for us with the integrations into other services, easy of use and reliability. Bulk Rename Utility is a PC based piece of software (sorry Mac users). It allows you to rename large amounts of files very simply. An example would be you taking 100's of photos and then needing to rename them. This little piece of software does it quickly and simply. Social Media is (or should be) a big part of a businesses online presence. 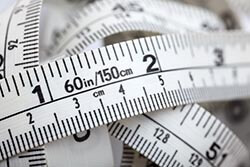 With so much to content with on each social media platform, it can quickly become a huge time sucker trying to find out things like what size or format you should use. Here are a few of the resources and links you should know about. The Social Media Sizing Cheat Sheet by LunaMetrics is brilliant at quickly telling you what size you need for images on the popular social media sites. Facebook, Twitter, Google+ and YouTube are just a few that they cover - invaluable. Facebook Developer is a set of tools that can help you with your Social Media endevours on Facebook. It includes the Ad Manager, so if you are running Facebook Adverts, you might want to check this out. Facebook Advert Text Checker lets you check out the text to image ratio before submitting your Facebook Advert. There is a 20% Text within the image limit, going over that and your advert will be disapproved. If you are over the 20% limit, it may be possible to move some of the text around (as opposed to removing it) to get within the 20% limit. This is probably down to the way that Facebook works out the text, in grids and not by pixel.